This is my entry for Look n Learn Art Contest for the month of August 2013. The topic was : “Jump”. 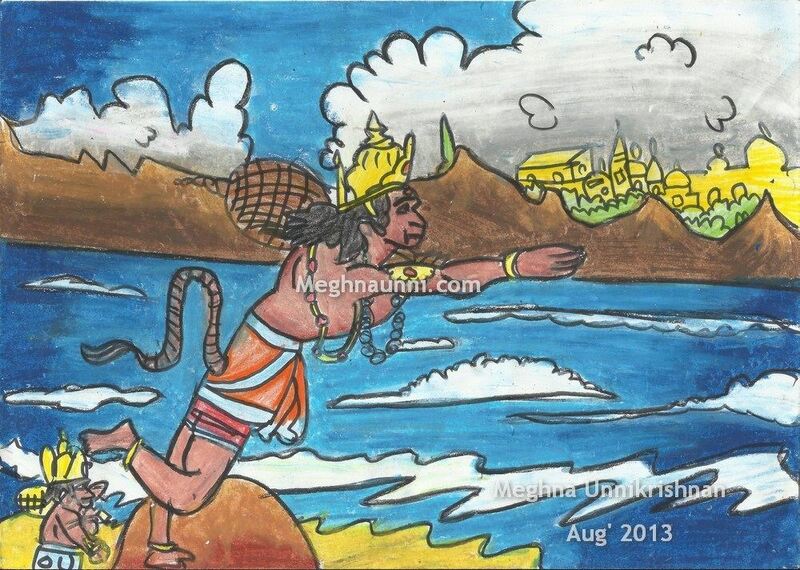 So I thought of trying Hanuman’s jump to Lanka from Ramayana.